This episode of World Cafe pays tribute to The Beatles, featuring past interviews with Paul McCartney, Ringo Starr, original drummer Pete Best and Beatles producer George Martin (one of the Best of World Cafe). McCartney's 2007 interview explores how changes in the music industry have led him to look for new ways to release his albums. He reflects on his career and competing with his own past hits, and shares memories of writing "A Day in the Life" with John Lennon. 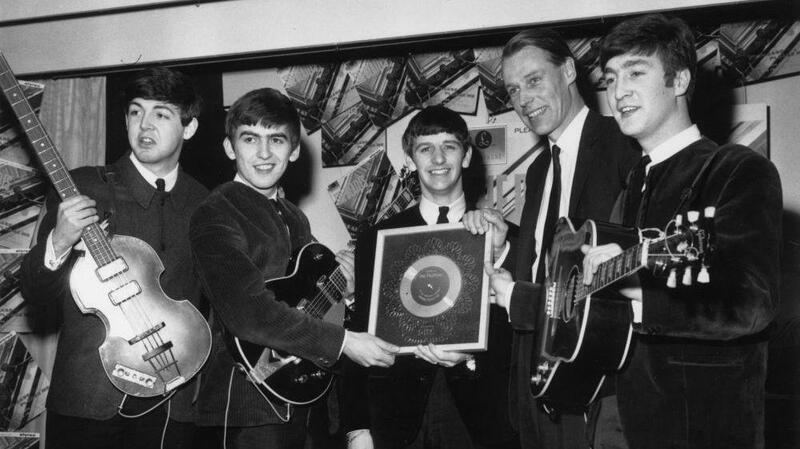 That same year, George Martin appeared on the show to recount what it was like to make Sgt. Pepper's Lonely Hearts Club Band and explains why he suggested that they enlist Ringo Starr in place of Pete Best. Best, affectionately known as "The Fifth Beatle," drummed for The Beatles from 1960 to 1962, and appeared on World Cafe in 2008 to discuss the direction his music career took after his nearly 1,000 performances with the band. Finally, Starr's 2010 interview finds the artist having just released the solo record Y Not, a work he feels "best represents [his] personality." This segment originally aired on October 7, 2011.